For some reason this Winter has been the worst I’ve seen in Cornwall since moving here in February of 2004. Not the weather, but City Works lack of clearing snow. But thank goodness the city found that extra $300K to waste a year doing an architectural study for its very silly and expensive purchase of a small older bank with almost no parking to convert to an art centre! As I type this on March 14th, there are still ice ledges on some streets and dangerous mounds of snow at street corners so that you literally have to pull into traffic to see if it’s coming! So post the ugliest pothole you see locally. 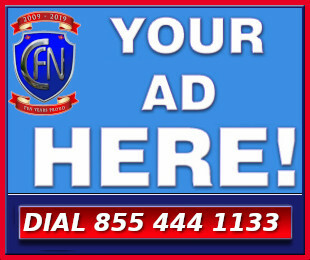 (Image must be dated and be of a Cornwall Ontario pothole) You can post it on our social media channels, but you do get bonus points if you can figure out how to post it right here on CFN! 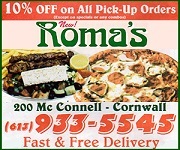 The winner will get a LARGE Pizza from our amazing friends at Roma’s here in Cornwall! The Deadlines is April 15th at Midnight!